Sometimes you just don't have the budget for beautiful and up to date handles for drawers, so make your own from some plumbing parts. These are simple to make and are a fraction of the cost of bought handles or drawer pulls. 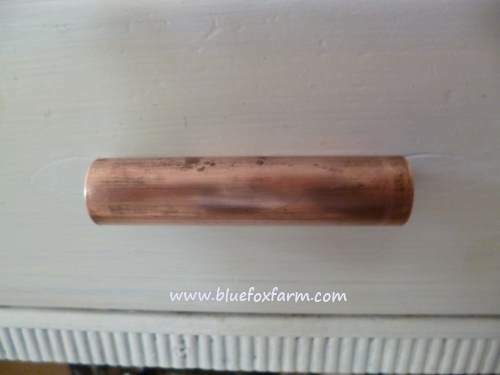 There are lots of ways to design rustic hardware; they can be made from twigs, buttons, beads, bits and pieces of rusty metal, or like these; made from pieces of easily cut copper pipe. 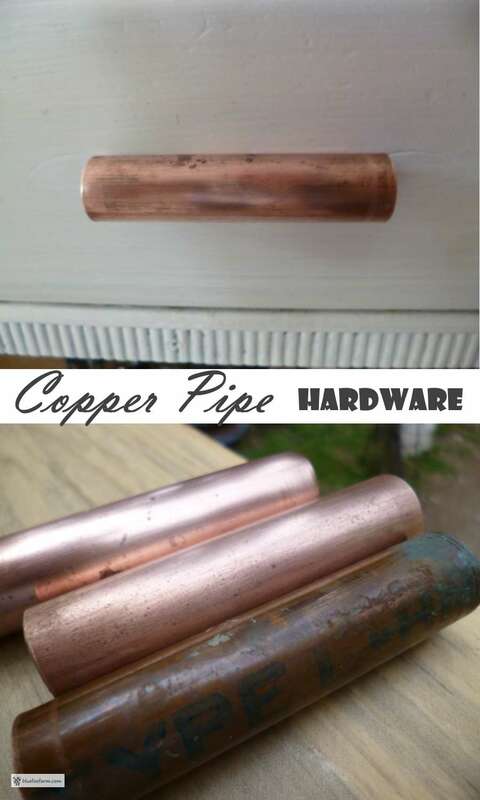 Copper pipe cut into lengths to fit your hardware holes that will be predrilled in your renovation project. Most drawer pulls are either a single knob or a two holed handle about three to four inches long. The pipe sometimes has printed lettering on it, so use steel wool to remove this, and to give a bit of texture to the pipe. If you like, you can dip the cut lengths in high percentage vinegar to add patina and verdigris to it. This can take up to a couple of weeks, so prepare them ahead of time if this is the look you want. 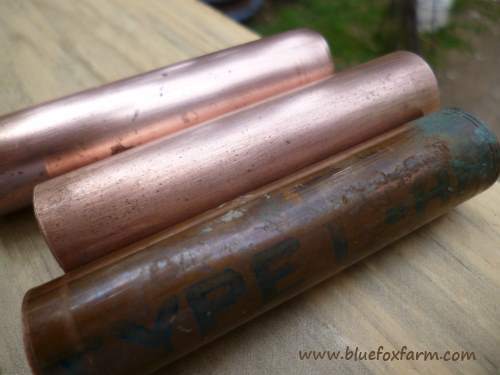 Use a pipe cutter for the best edge - these make kind of a bevel on the edge, so you don't need to take any burrs off. 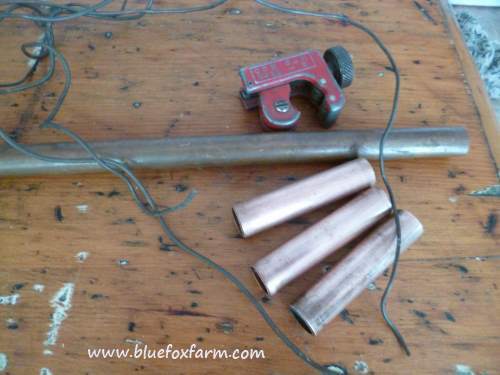 The wire is annealed, which softens it, ready for use. 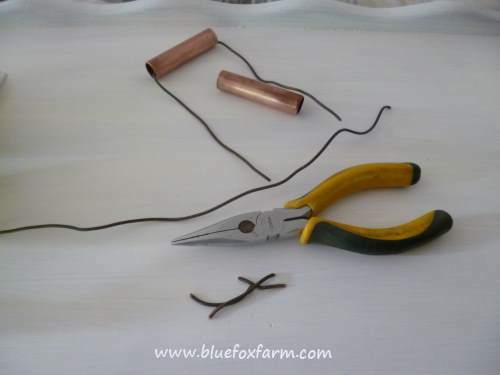 Needle nosed pliers have a cutting area on them; cut the wire into pieces long enough to go through the piece of pipe, and through the holes in the drawer, with enough extra to make into a pig tail. These will add a unique look to your next project. Still searching for more inspiration? Have a look at these rustic hardware ideas.